Offering a variety of classes daily. 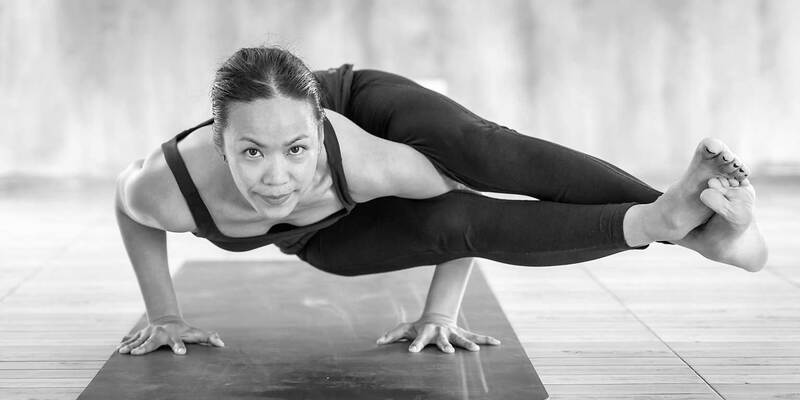 Yin focuses on passive, seated postures that target the connective tissues in the hips, pelvis and lower spine. Poses are held for anywhere between one and 10 minutes. The aim is to increase flexibility and encourage a feeling of release and letting go. It is a wonderful way to learn the basics of meditation and stilling the mind. As such, it is ideal for athletic types who need to release tension in overworked joints, and it is also good for those who need to relax. held for as long as 20 minutes, with the help of props such as bolsters, pillows and straps. It is similar to yin, but with less emphasis on flexibility and more on relaxing. This class attempts to serve a variety of distinct needs: people with movement limitations, or profound stiffness due to lack of activity; relief from disabilities and chronic conditions e.g., arthritis, back pain and other musculo-skeletal issues; recovery from surgery, illness or injury; for seniors, new practitioners, women who are pregnant and those seeking stress-reduction or weight management. Gentle yoga has even been found to be an important complement in programs to reverse heart disease or provide relief from the challenging conditions of fibromyalgia, chronic fatigue, as well as mood disorders. Yoga and Meditation, there’s no better combination for uplifting your spirits and improving your overall health. Get a dose of bliss in this class that incorporates both practices. We offer a variety of group fitness classes. Including Barre, POUND®, Bootcamp, Cardio Kickboxing and more. Are you new to yoga? We have classes designed just for you. Get started on the right foot with our beginners guide.